Some bands were simply not meant to play club shows. While smaller shows are almost always preferable, certain acts thrive in the open air and cool breeze of outdoor festivals. It makes sense, then, that Hurray for the Riff Raff’s show at the Paradise was sponsored by the Newport Folk Festival. 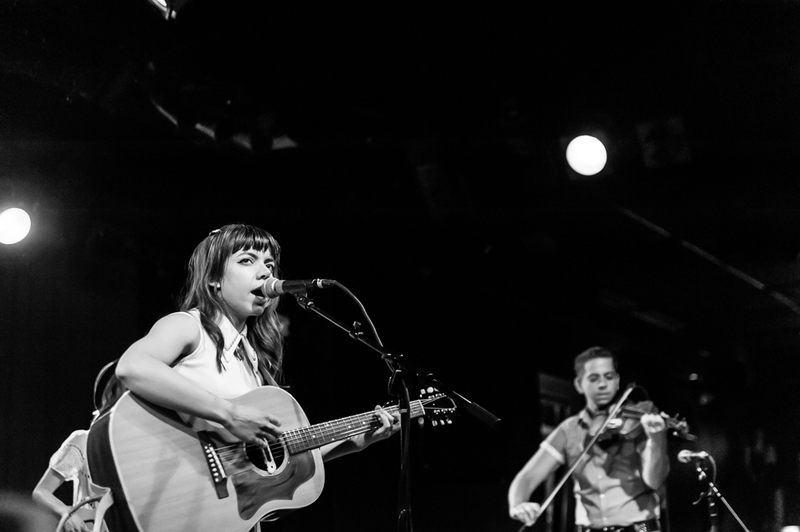 Having already played the festival a handful of times, Hurray For The Riff Raff’s organic sound had already proven itself to be a perfect fit for those beezy fields. While the Paradise wasn’t the best match, Hurray for the Riff Raff still dialed in a great, enthusiastic set. Aaron Livingston, aka Son Little, opened the show with a somewhat unremarkable take on treble-heavy blues with frequent excursions into reggae-inspired beats. 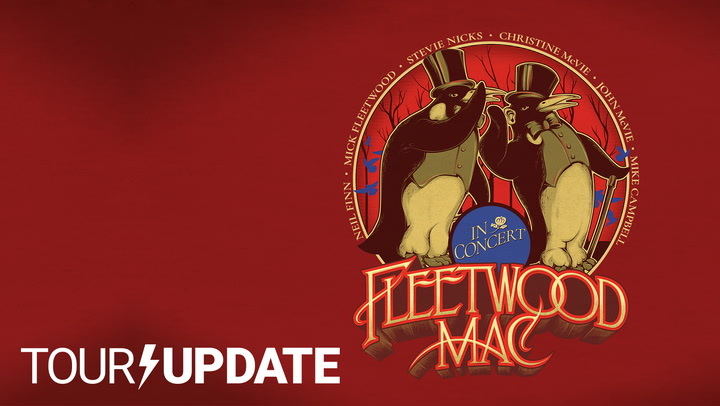 While there were certainly enough guitar solos to keep a handful of the audience entertained, most of the crowd seemed content with talking among one another. In a bid to reward those in the front row who were paying attention, Livingston decided to sit down and play a softer song without the help of the PA system. What was probably nice for the few people who could hear it was awkward and baffling for the majority of the crowd. While the presence of a handful of muted synth motifs showed some promise, Son Little’s music was largely forgettable with no distinct personality. Hurray for the Riff Raff, however, was the complete opposite. Introducing herself by her real name, Alynda Lee Segarra opened the set alone with the subdued sounds of “The New SF Bay Blues”. Despite her small stature, her stage presence felt massive; she exuded confidence and commanded the stage with a positive energy that rippled throughout the crowd. 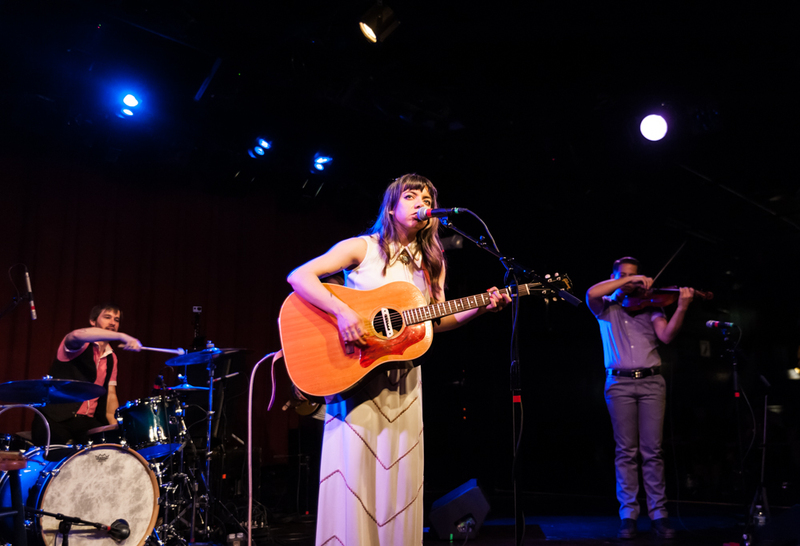 While most would have been happy with an acoustic set from her, she was quick to bring on her backing band — only then introducing the collective as Hurray for the Riff Raff. While Segarra was the main driving force on stage, her backing band was a vital component in creating an expansive and moving sound. The four-piece band, consisting of a drummer, bassist, pianist and fiddle player, was unexpectedly loud and powerful. The soaring verses and choruses of “Blue Ridge Mountain” came to life with driving drums and a thumping bass. While Segarra’s songwriting and powerful voice have always shone through on her albums, her live show was somewhat of a revelation. She may take on some very personal and dark lyrical themes, but the set was mostly upbeat, and the good majority of the crowd sang along. Segarra’s music comes off as revivalist in the same way Jack White’s solo foray into country music does: She still keeps to a very traditionalist style, but imbues it with her own personal style and the energy of punk rock. It’s no surprise that she cites Bikini Kill as one of her biggest and most cherished influences. While their music may not sound similar, Segarra shares with Kathleen Hanna the same passion, anger, and enthusiasm that is so vital to both of their music. This is even more obvious in person where you can feel the true conviction behind her lyrics; you can tell every song comes from a place of honesty and love. “The Body Electric”, which Segarra introduced as a song she deemed to be “very important” to herself, was a three-minute powerhouse of emotion. While the album version ends with the sigh of, “Tell me what’s a man with a rifle in his hand gonna do for his daughter when its her turn to go,” live, the song built up to a fever pitch, with Yosi Perlstein’s fiddle leading into a crashing ending. While the show was excellent, I couldn’t help but feel like this show was a savory teaser of future festival sets. Live, Segarra’s songs become soaring anthems that lend themselves to sunshine and open skies. Despite playing Newport Folk in 2013 and 2014, a three-peat this year would be more than welcome.